Taken from the latest music CD cover from Claymore from the Claymore Intimate Persona ~Character Song Shuu~. Features Clare battle ready with her Claymore in hand. Also features her in the background in a close up shot in her semi-Yoma form. Browse Claymore Gallery: Recent | Popular. Thanks for the scan. That's a really cool action pose. Claymore is one of the best manga/anime ever! Nice Scan Thanks for Sharing! Very cool! Thanks so much! I loved it! nice scan! thanks for sharing. 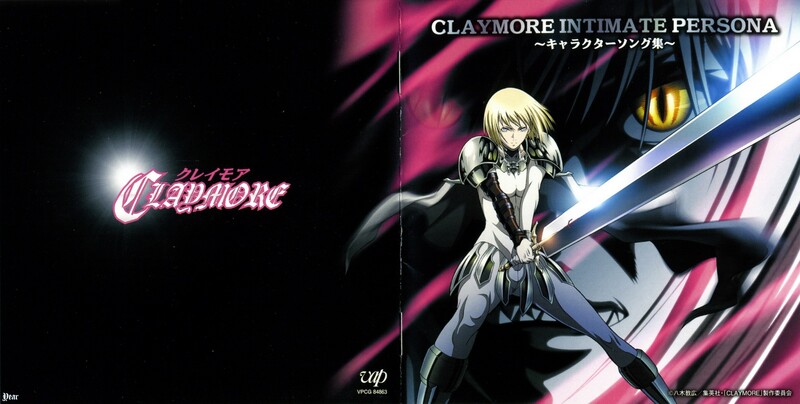 wow.... genial me encanta claymore! nice i'm a claymore pan. good size~ thanks for you! Nice scan. Line's pretty irritating though.